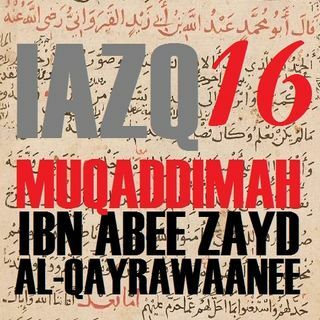 Salaah Brooks reads the sixteenth point of belief from the work of the great Maalikee scholar, Imaam Ibn Abee Zayd al-Qayrawaanee (d.389), from his book, ar-Risaalah, the beginning of which is the focus of our course in 'Aqeedah (Muslim Beliefs). Moosaa Richardson supervises the reading of the text and provides detailed commentary. This class includes essential discussions about the life of the grave for believers and disbelievers. This class was recorded at al-Masjid al-Awwal in Pittsburgh, Pennsylvania (USA) on 1437.11.10. Jazakumullahu Khairan for your good efforts. I think that the best translation for عبد is slave (or worshipper), not servant. The translation being used “servante” in Arabic would match with خادم.